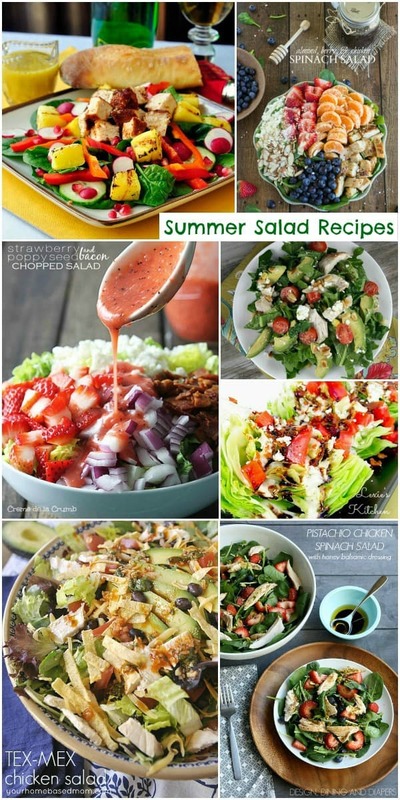 BBQ season has already started and I know there are a lot of us looking for delicious & healthy summer salad recipes. Whether it’s for a block party, BBQ celebration or just a healthy meal for your family, there are a lot of ideas here to choose from. This is a collection of delicious recipes from other talented bloggers and masters in the kitchen. To view the full recipe for each, simply click on the title of the recipe and it will open up in a new window for you. 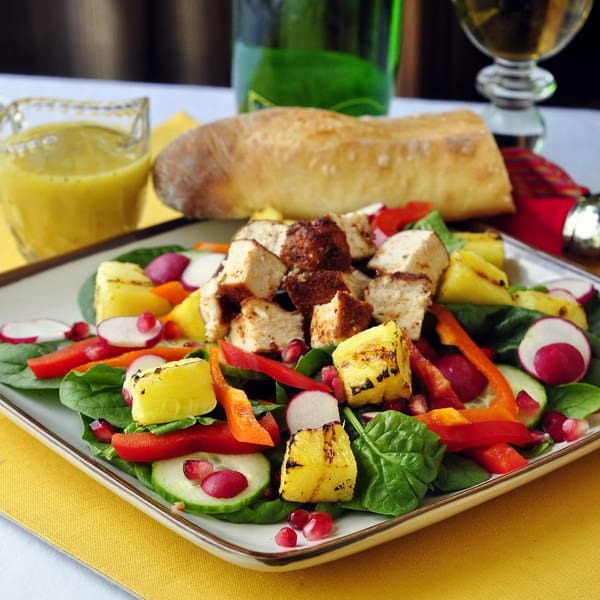 This Smoked Chicken, Spinach, Grilled Pineapple and Pomegranate Salad (pictured above) by Rock Recipes is such a unique combination that’s sure to be the hit at your next summer celebration. 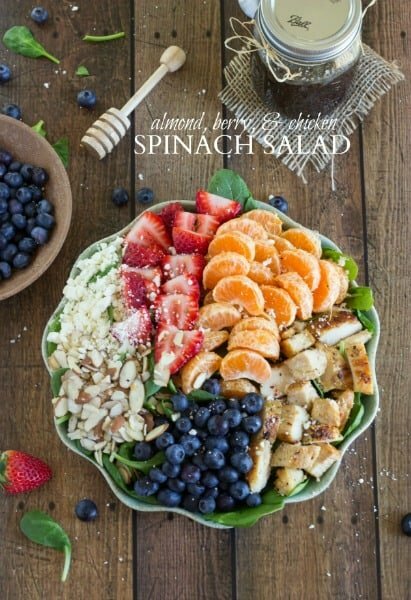 This Almond, Berry & Chicken Spinach Salad by Chelsea’s Messy Apron is beautiful! I wouldn’t want to be the first one to dig in and mess up the pretty display. 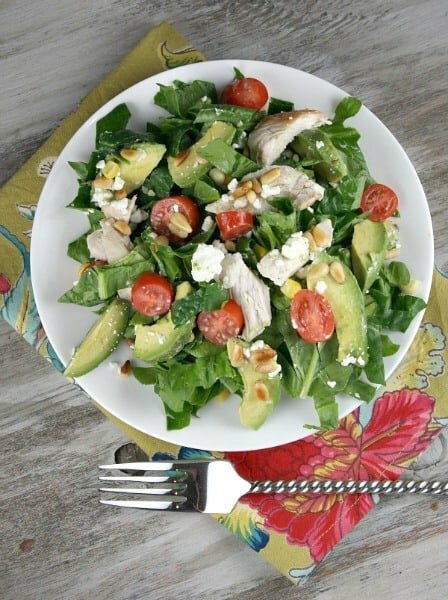 This Spinach Salad with Chicken, Avocado and Goat Cheese by Recipe Girl looks so tasty! I love goat cheese and I’ve been wanting to try a salad with avocado. 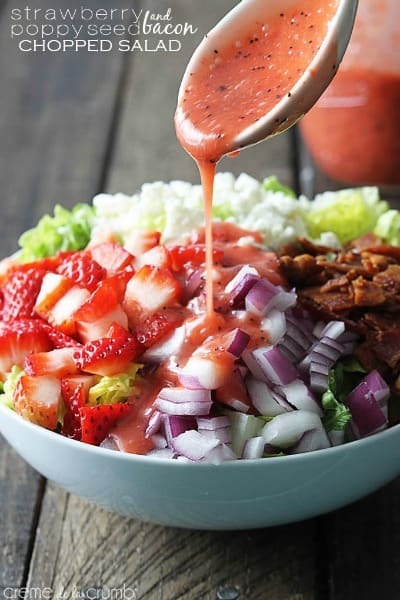 I fell in love with poppyseed dressing a few years ago so I’m excited to try this Strawberry Poppyseed & Bacon Chopped Salad by Creme de la Crumb. The combination of poppyseed and strawberry is so good! 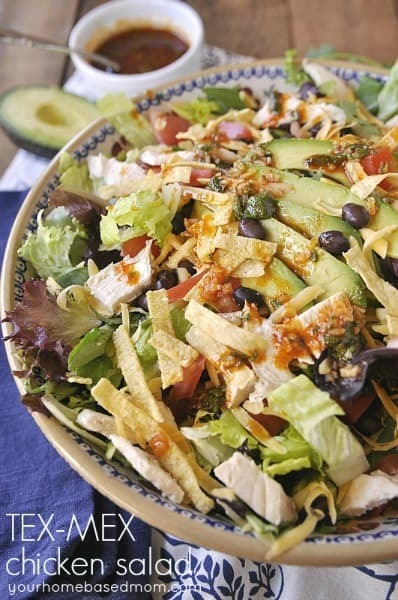 I love taco salads so I know I would love this Tex-Mex Chicken Salad by Your Homebased Mom. The dressing sounds so yummy! 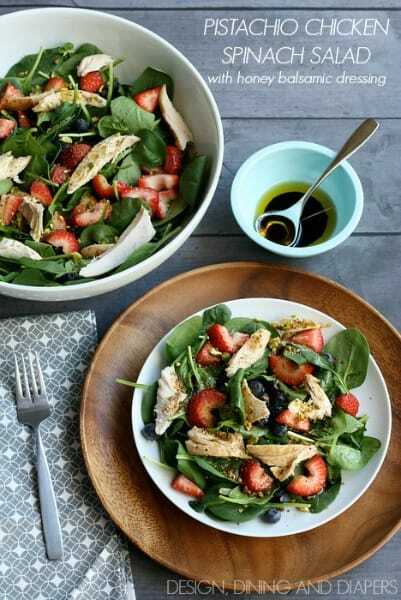 This Pistachio Chicken Spinach Salad by Design, Dining & Diapers looks really healthy & like a great energy booster. Raspberry vinaigrette is perfect for a summer salad! 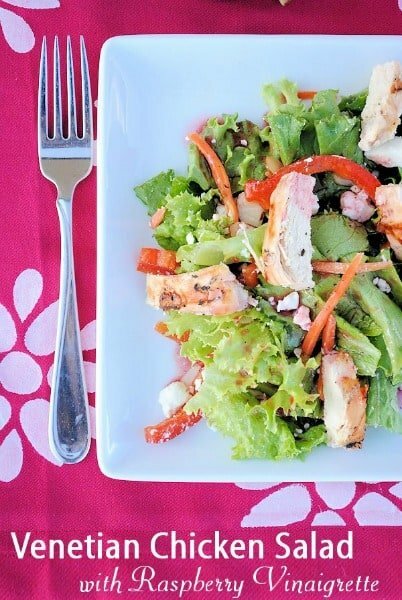 This Venetian Chicken Salad with Raspberry Vinaigrette by Crazy Little Projects would be the perfect salad to serve to your best girlfriends on your next lunch date. 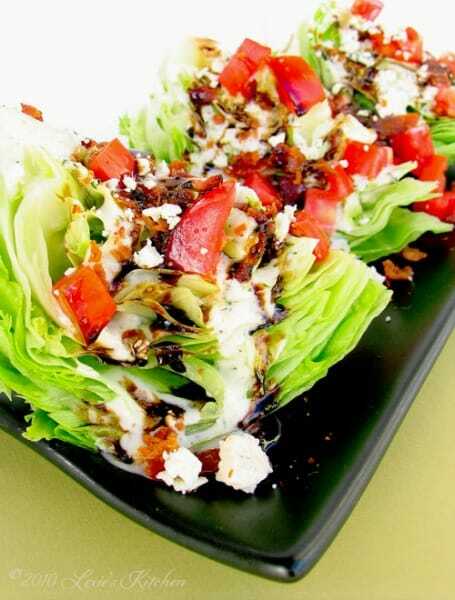 I’ve heard so many delicious things about the Wedge Salad but I haven’t tried it yet. Lexie’s Kitchen shares a copycat recipe for making your own Outback Steakhouse Wedge Salad at home. I know my husband would give it two thumbs up because of the bacon in it. 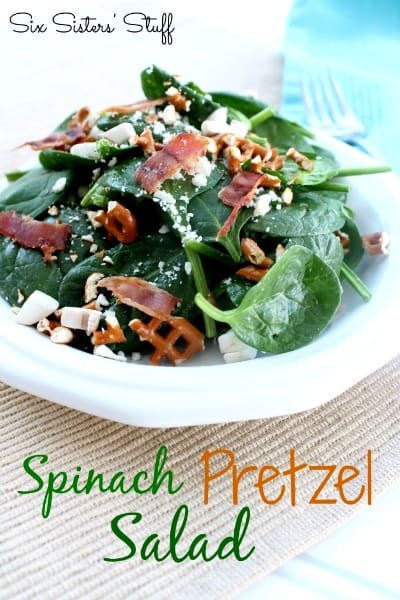 This Spinach Pretzel Salad by Six Sisters’ Stuff is a unique combination that includes one of my favorites – Feta cheese! We’re always adding new ideas – catch the latest by following us on Facebook, Twitter, Pinterest, Google + and Bloglovin’. All the salads look delicious – thanks for including my Tex-Mex salad!